KEVIN SMITH: Here guys, let me save you from yourselves. If you’ve read my blog post about Degrassi’s cancellation on TeenNick and MTV Canada, then you already know season 15 is happening. In the endless sea of entertainment articles that were written by people who either don’t watch Degrassi or don’t know what the hell is going on behind the scenes, Entertainment Weekly was the first to definitively state Degrassi is proceeding with season 15. Despite the Epitome team’s silence throughout this ordeal, there’s been mounds of information over the past several days to confirm Degrassi isn’t dead, down to the exact date production for season 15 is scheduled to start (June 15th). Via @JoshuaJAMZ "you hear #Degrassi has been cancelled?" Only on @teennick. @epitomepictures still making eps. New US partner revealed soon. 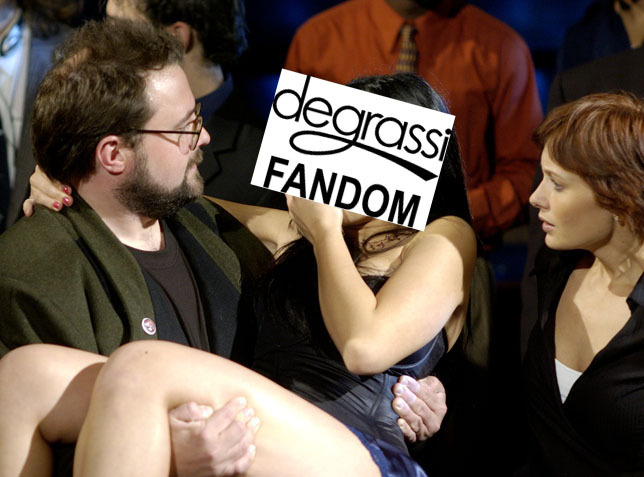 We don’t need to #SaveDegrassi because, for at least another season, it’s not going anywhere. Until I see an official response from the producers, I’m holding my breath. Yet, we have so many sources and even Stephen Stohn gave a hint. Like come on now. The shows moving forward. Be glad. Get ready for Degrassi: Next Class on Netflix!!! !